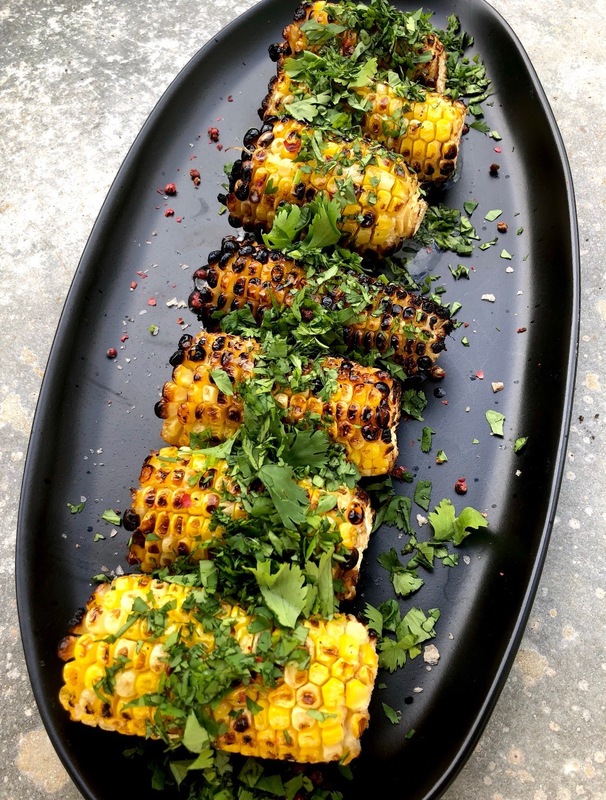 Place the corn directly on the grill, cover, and grill for 15 to 20 minutes or until cobs are charred on all sides, rotating occasionally. Remove and let cool until they can safely be handled. Brush or olive oil over each ear of corn. 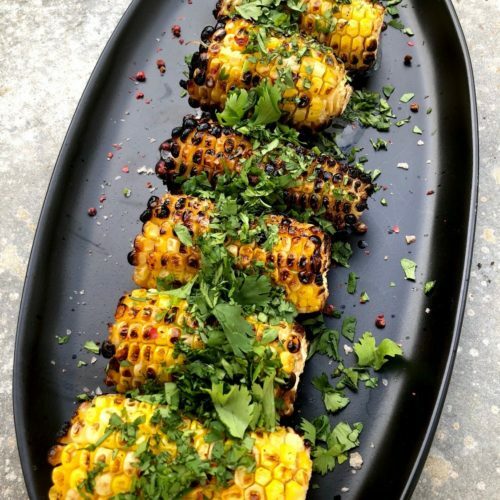 Place the corn on a serving platter, sprinkle with the smoked paprika, fresh lime juice, fresh cilantro, and season with sea salt and black pepper. Enjoy!